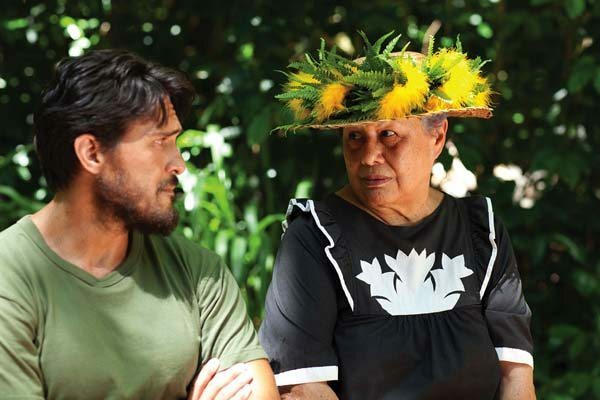 “Picture Bride” was the first Hawaiian film to ever play at the Cannes Film Festival. It also played at the Sundance Film Festival and received national distribution through Miramax Films. That alone should be reason enough to celebrate and recognize Kayo Hatta’s film, which is a small but lovely, vivid depiction of Hawaii in the early 1900’s. 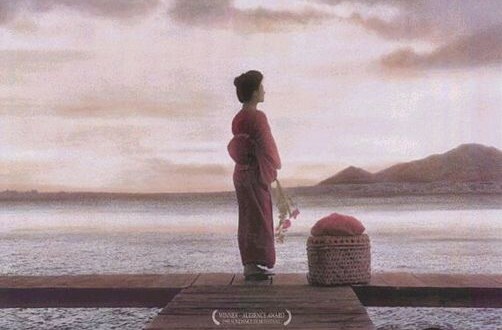 It opens with the following title card: “Between 1907 and 1924, more than 20,000 young Japanese, Okinawan and Korean women journeyed to Hawaii to become the wives of men they knew only through photographs and letters. They were called ‘picture brides. '” I knew a picture bride, an extraordinary lady who I referred to my entire life as “Mama Wong” (this being Hawaii, I had and still have many “adopted” matriarchal figures in my life I refer to as “auntie” or “Kapuna”). When Mama Wong was a young girl, she, like many others, came to Hawaii as a “picture bride,” and I imagine she was every bit as fierce and determined as the character Youki Kudoh plays in the film. We meet Riyo (played by Kudoh), a girl living in Yokohama Japan, who leaves her home partly to escape from a bit of trouble she’s in. Also, the letter she received from Hawaii (her invitation to become a picture bride) touts a handsome young man with his own home in paradise. After a long voyage by boat, she quickly discovers that her groom-in-waiting is a much older man named Matsuji (winningly played Akira Takayama) who lives in a shack and works long, hard days on a sugar cane plantation. Riyo, a “city girl” with little experience at manual labor, must work the fields with Matsuji and stubbornly insists that every penny she makes will be saved for her return trip to Japan. The brief prologue in Yokohama is filmed in black and white, perfectly conveying the sense of the past, as well as the contrast of color and beauty (and manual labor) Riyo is about to encounter. Once the film is set in Hawaii, Hatta keeps the camera close to the characters, which is also a perfect touch; we’re in tight with Riyo, whose dreams of escape make the paradise surrounding her a non-issue. The way Matsuji is developed as a character is a lesson in smart screenwriting. The easy approach would to have made him a creep, a bully and a pervert. Takayama’s surprisingly tender performance gives us a man all too happy to marry a young woman but too sensitive to ignore how fully he deceived her. Matsuji is 43 and clearly regrets the deception from the start, which is why we like him. Also, on his “wedding night” with Riyo, he makes a move and she bites him. What could be especially uncomfortable to watch builds into a “Taming of the Shrew”-like dynamic between them. She may be spoiled but you’d be too if you were promised a handsome young husband and a dream home in Hawaii. Another great character comes to the surface: Kana, played the ageless, reliably exceptional Tamlyn Tomita. Kana becomes Riyo’s friend but is too tough and busy as a mother to give Riyo a shoulder to cry on. The two form a potent, sisterly bond. Kana teaches Riyo the pidgen English word “bombai,” which means “later on.” The word offers an unspoken promise of something, anything, to look forward to. Kana is connected to the spiritual qualities of Hawaii and encourages Riyo to branch out and truly discover the place that is her prison and her home. Visual beauty, magical realism and a tender love story creep in, shaping a story that seems simple but has startling layers. The many scenes on the plantation, with Riyo and other picture brides being tormented by the no-nonsense Portugese “Luna” while working the fields, seem stereotypical at first. Once we get an unguarded, vulnerable moment alone with her superior (who is almost always on horseback and bearing a whip he threatens to use), we see the reason for his pain. There’s also a rich supporting role for Cary Hiroyoshi-Tagawa as Kana’s troubled husband and, in his final film role, a plum cameo by the legendary Toshiro Mifune. Local audiences will recognize Jason Scott-Lee in a quick cameo and Nobu McCarthy (so good as the love of Mr. Miyagi’s life in “The Karate Kid, Part II”) providing the end narration. Hatta (who sadly only lived to make one film) attempts to cram a lot into the film’s slender running time, including tension between the Japanese and Filipino workers, a dramatic cane fire gone amuck, and colorful supporting roles that almost but never quite get past surface level. Yet, her “Picture Bride” remains a remarkable achievement and a special film. I sometimes wonder what Mama Wong would have thought of the film. Before she passed away, my final days with her consisted of making leis and talking about “the old days.” The one movie I did watch with her was, of all things, the raunchy spy comedy “Top Secret!” with Val Kilmer. I never heard her laugh so hard.